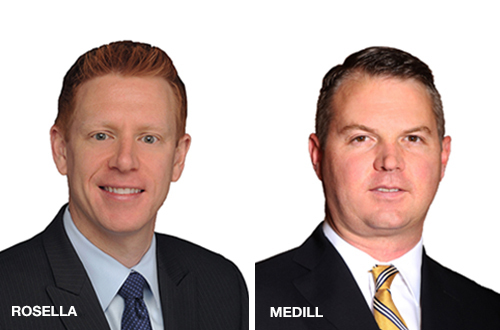 Phoenix, Ariz. (January 22, 2019) - Investment brokerage team, Brian Rosella and Chris Medill, have joined Kidder Mathews' Phoenix office, where they will specialize in land sales throughout Arizona. Rosella has been named a senior vice president and Medill has been named an associate with the firm. Rosella brings 15 years of experience in land sales working with homebuilders and developers. He is originally from the Midwest and is a graduate of the University of Iowa.